Scott Tracy is dead! 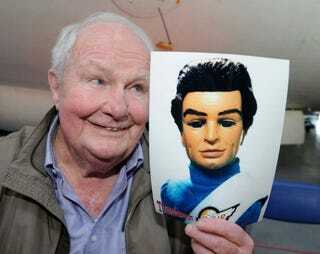 Or rather Shane Rimmer, the Canadian actor who gave voice and personality to Thunderbirds point man has passed away, aged 89. Born in Toronto in 1929, Rimmer voiced International Rescue’s Scott and other characters in 32 episodes and two feature movies. He also appeared in Anderson’s other shows and wrote episodes of Captain Scarlet, Joe 90 and The Protectors. Outside of the Anderson productions, he appeared in Dr Strangelove, Out of Africa, Star Wars, Superman and three James Bond movies - Diamonds Are Forever, You Only Live Twice and The Spy Who Loved Me. On television he appeared in the Doctor Who serial, The Gunfighters, and was a singing Cold War Colonel in Dennis Potter’s Lipstick on Your Collar. He also played two separate characters in soap opera Coronation Street.